On October 23, 2018 a common event of the International Yiddish Center at the World Jewish Congress and IWO Argentina took place in La Plata, a town located 50 km south-east from Buenos Aires. More than 40 people participated in the seminar "Yiddish language, holidays and folklore", which met its goals in promoting awareness of Yiddish language and culture among diverse audience. 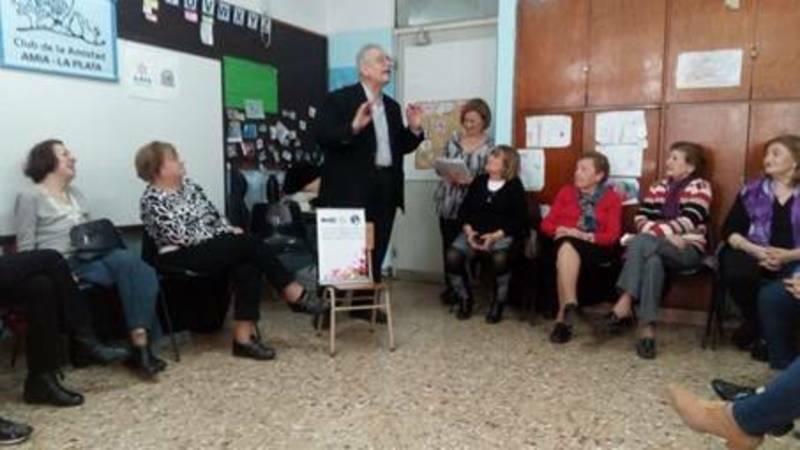 The key talk "The miracle of Jewish holidays", given by the IWO Argentina director Professor Abraham Lichtenbaum, was devoted to peculiarities of Jewish calendar in Eastern Europe and showed how folklore and tradition reflect in Yiddish language. After a break with tasting Jewish food and cakes, the scholar spoke about Jewish holidays as described in works of Mendele Moikher Sfoyrim, I. L. Peretz, Sholem Aleichem and Sholem Ash. The meeting was crowned with Yiddish songs sung by the participants' chorus. The audience expressed their gratitude and interest in hosting another Yiddish seminar next year.